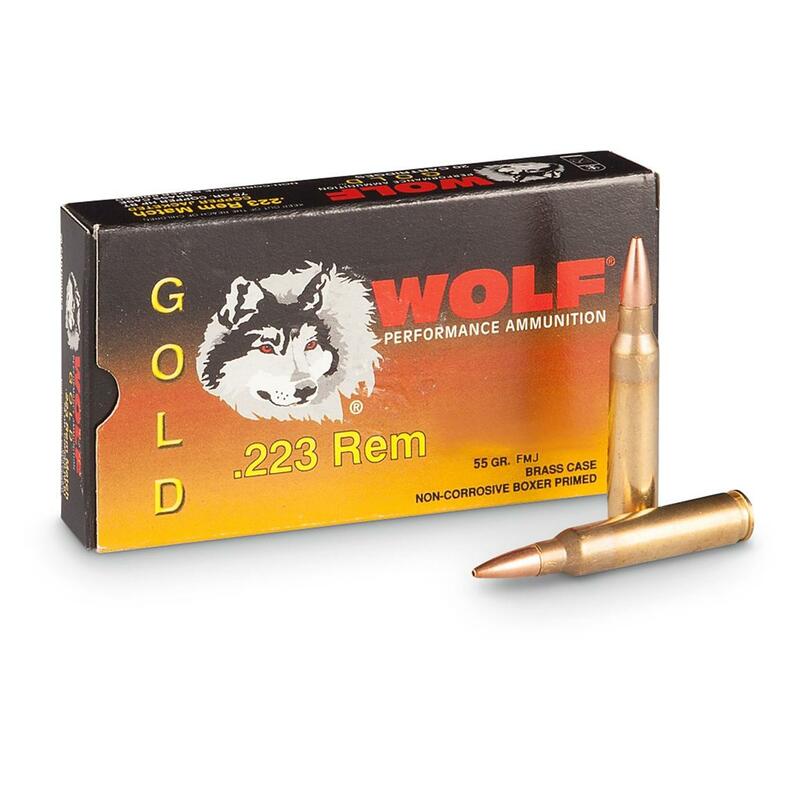 Previously, Wolf's .223 was offered only with steel cases. Now it's in brass cases with the Midas Gold touch, so to speak…accurate and ready with zing. Wolf® Gold is produced using premium components. Each cartridge is carefully made with a reloadable brass case, a Boxer primer, and a carefully calculated charge of smokeless powder. Wolf Gold, .223, 55 Grain, FMJ, 500 Rounds is rated 4.8 out of 5 by 240. Rated 3 out of 5 by J D N from Ok Plinking Ammo Shoots a 2 1/2 MOA out of my AR. The Hornady Black 55 grain will shoot a 1 1/2 MOA in the 55 grain. the heaver 72 black shoots a 1 inch group. For busting clays and shooting a 6 inch metal on the berm at 270 yards its fun and cheaper than the other, with no failures to fire or extract. Rated 4 out of 5 by DHS J from Good training/practice ammo. Great Price Brass case, reliable. Seems to dirty the gun a little more then the likes of federal, but for the price who cares. Rated 4 out of 5 by bikesnguns from Nice looking, clean ammo @ a great price! Ammo looks clean and appears to be well made with reloadable brass casings. Shipping was fast, my order was correct, complete, & the price was great. The only reason I only gave 4 stars is because I haven't shot any of this yet. We try to shoot up our oldest ammo first but I'm sure it will work fine in our semi auto rifles. Rated 4 out of 5 by SkypilotJT from good price good ammo Good price good ammo, reason for only 4 stars is when loading the rounds in the mag one round partially came apart, the bullet started to seperate from the case? 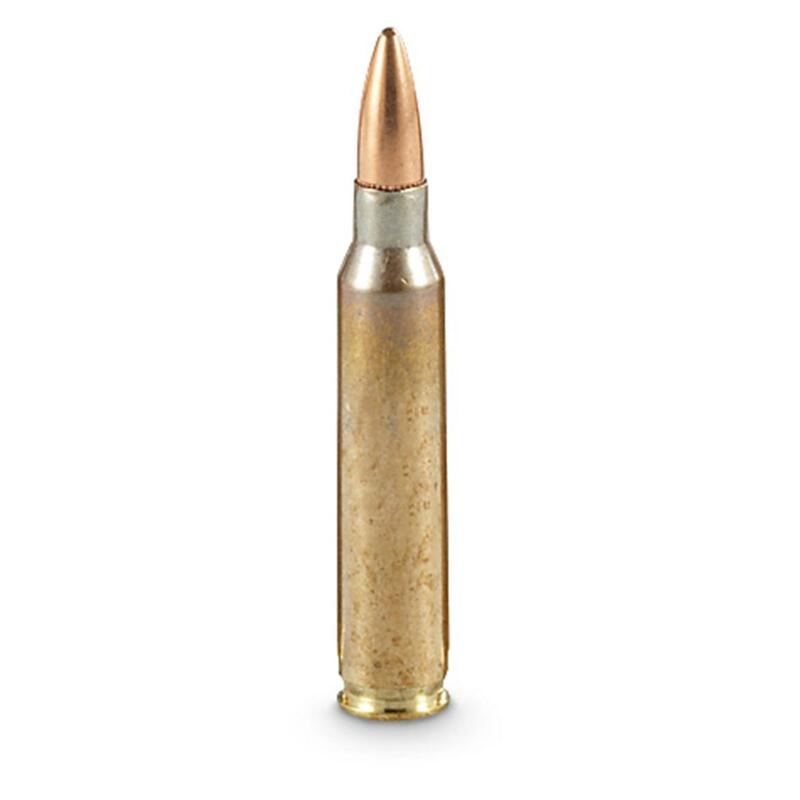 Rated 5 out of 5 by Sparksfly from Great deal Always shoots great, never any fliers,no mile fires, great ammo always buy when there is free shipping involved. Rated 5 out of 5 by Marathoner from Good Deal Always works, shoots clean, and lower priced than commercial reloads-can't be beat! Rated 5 out of 5 by 101st from excellent price I have purchased this ammo before and is great and also the price, keep up the good work.